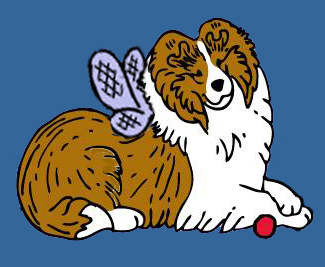 Sheltie Nation | What, you've never seen a dog blog before? What, you’ve never seen a dog blog before? Posted by Kelly on Mar 10, 2009. Here is Reilly busy blogging and catching up with his online buddies. And I thought Trevor was the only one Bretjini! Trevor looks like he was interrupted in the middle of a Tweet! Ha- great pic! That is just too cute !! What our furkids do to amuze us. Great picture.